The 6.6 release of Snow Owl was focusing on usability and stability improvements to make it more suitable for extension building. 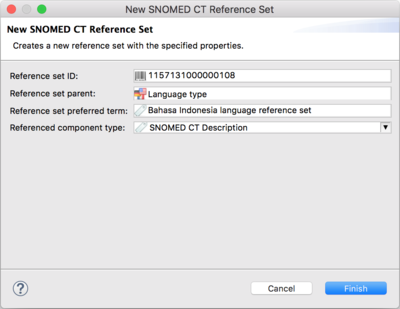 New language reference sets can now be created and set as default, so once the namespace is registered at SNOMED International, you can now build your very own extension from scratch. Reference set creation is possible using the new reference set wizard from the right-click context menu of the Reference set navigator. ‘Load more’ is now available in the search view.